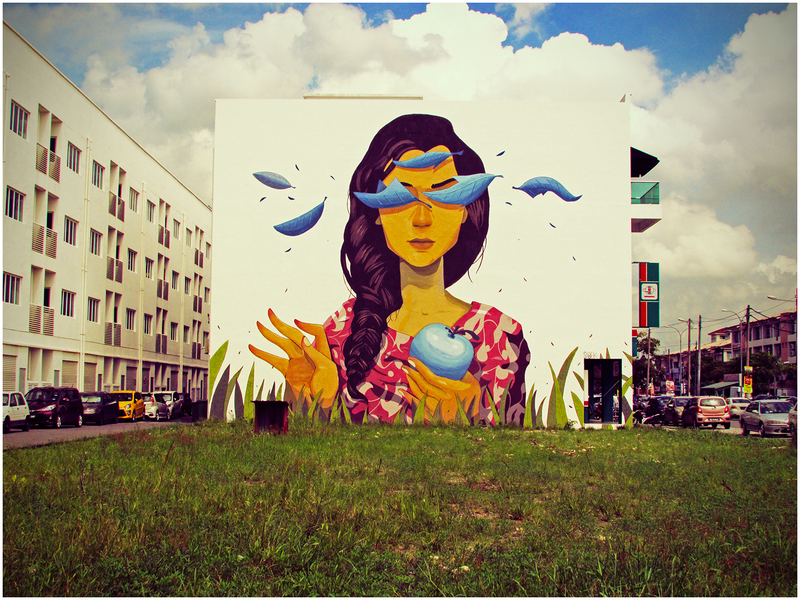 This large wall art mural was painted by Sabek, a Spanish artist who came to Penang again, this time for the Urban Xchange 2015 street art festival in Penang. This new mural was painted to replace the original mural which was also done by Sabek. This mural can be found at Jalan Raja Uda (or Raja Uda Road) in Butterworth, Penang. For this street art location, please click HERE.